I always feel the itch to start my holiday crafting around Halloween. I'm sure some of you are the same. A crafter's holiday season has to start a little early to get a head start on the game, of course. 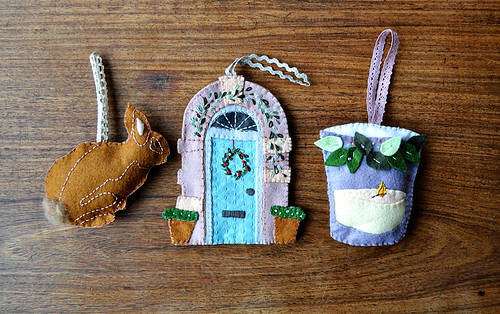 When I saw these adorable ornaments from Anne in the Flickr group, I felt (pun intended?) quite inspired to get to work on my own crafted ornaments this year. How lovely are all those details? And, of course, since it's Shiny month here at &Stitches, I just couldn't resist those sparkly little beads. 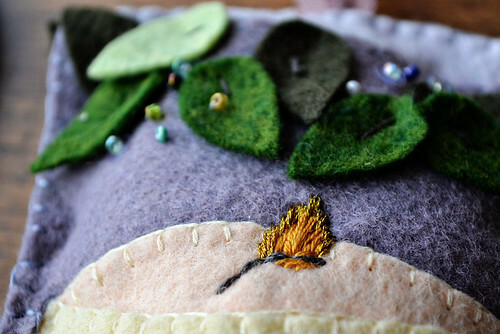 Such a perfect little addition to a beautiful piece of stitching. 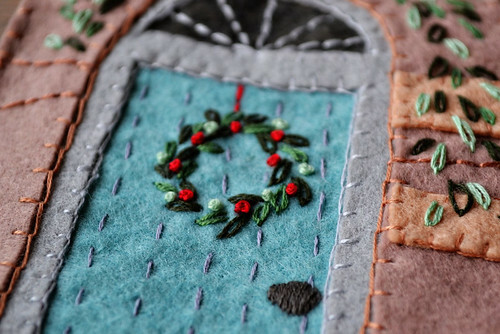 You can see more of Anne's lovely work at her website, Pumora.